"The 'Keyes' To Your Water Needs Since 1945"
Welcome to Thomas G. Keyes, Inc.
We provide Well Drilling, Geothermal Drilling, Well Pumps & Tanks, Water Treatment, Well Inspection & more in Chester County PA and Southeastern PA areas, including Delaware, Montgomery & Berks County PA. We serve Residential, Commercial, Industrial, Municipal and Government customers, And we even offer Emergency 24/7 Service. 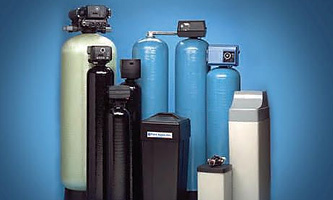 We are a Preferred Dealer/Installer for Goulds Pumps (Goulds Pump Dealer Association), Grundfos Pumps, Franklin Electric Pumps and Motors, and Master Water Conditioning. 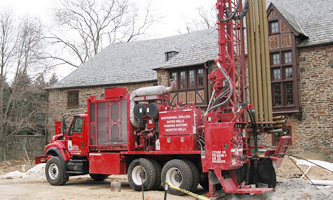 Since the first well we drilled in 1945, we at Keyes, Inc. have established ourselves as one of the foremost experts in the water well industry in Southeastern PA. At Keyes, we specialize in the design, installation and maintenance of complete water systems that meet the specific needs of our customers. 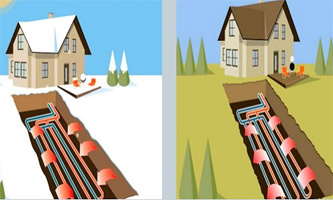 Because we are local, we are very knowledgeable about soil and rock conditions in Chester County PA and surrounding Southeastern Pennsylvania areas, which is crucial when providing well drilling, geothermal drilling, and water well services. But our business is more than just wells, well pumps and water treatment — it's about building and maintaining trust. Trust that when you need us, we will be there. 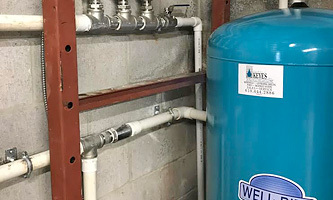 For honest, dependable well and water service in Malvern/Frazer PA, Chester County and Southeastern PA, let us be the "Keyes" to your water needs. 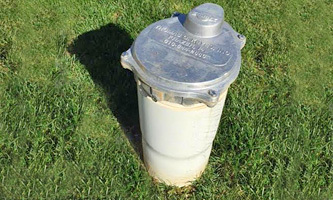 Because at Keyes, we understand it's not just a well... it's your water. © Copyright Thomas G. Keyes, Inc.